Below you can view all the homes for sale in the Ruby Forest subdivision located in Suwanee Georgia. Listings in Ruby Forest are updated daily from data we receive from the Atlanta multiple listing service. To learn more about any of these homes or to receive custom notifications when a new property is listed for sale in Ruby Forest, give us a call at 404-998-4113. Amazing Lot Overlooks George Peirce Park & Is Located Directly On Paved Leading To Suwanee Town Center. MLS#6524269. Heritage Ga. Realtors. Hoa Is Voluntary But Can Be Madatory With Swim & Tennis For $500.00 Annually. MLS#6522721. Keller Williams Lanier Partners. This Is A Vacation At Home. MLS#6519917. Re/Max Center. Master Suite With Huge Walk-In Closet, Deep Tray Ceiling, Double Vanities, And Garden Tub. Swim/Tennis Community! MLS#6517971. Realty One Group Edge. Hvac Units Are Only 4 Years Old And The Roof Is Only 7 Years Old. 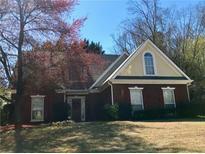 MLS#6511234. Crye Leike Realty, Inc.. It'S A Must See Home!!! *** MLS#8532359. Gt Realty Inc..
A Nicely Kept Ready To Move In Gorgeous Gem! MLS#6102250. A Plus Realty, Llc..